Aunt Lute Books, 9781879960930, 216pp. Poetry. Literary Nonfiction. Latino/Latina Studies. Native American Studies. Women's Studies. LGBTQIA Studies. 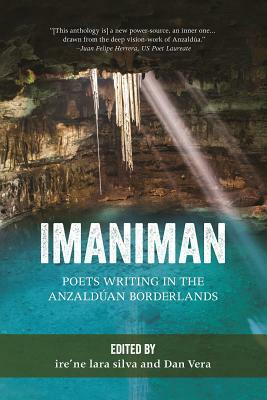 In homage to Gloria Anzaldua and her iconic work BORDERLANDS/LA FRONTERA, award-winning poets ire'ne lara silva and Dan Vera have assembled the work of 54 writers who reflect on the complex terrain the deeply felt psychic, social, and geopolitical borderlands that Anzaldua inhabited, theorized, explored, and invented. "Within shifting borders it is good to enter into these voice worlds to stand, bow & listen in their presence. Peoples, familias, cities, towns, rancherias and the wilderness of all border-crossers & messengers of border spaces open in these pages." from the Introduction by Juan Felipe Herrera, US Poet Laureate.